As an interior landscaper, what trends can you best respond to in this rapidly changing world and ditto market to make your business really flourish? Dutch VHG Vakgroep Interieurbeplanters, the union branch for interior landscapers, organised a gathering to discuss trend watching. The appropriately chosen venue was ASR head office in Utrecht where, with a view to the future, they had decided to concentrate all 1300 employees in a single office building, with different types of workplace, indoor, outdoor and roof gardens, as well as recently developed large green façades. This 70,000 m2, one of the largest office buildings in the Netherlands, underwent major refurbishment, has been nominated as one of the 10 best in the country, and is also BREAAM certified. Trend watcher Aafje Nijman used this thought-provoking quote from architect Thomas Rau to set the tone for an exciting exploration of several major developments around the world and the trends that could be derived from these developments for the green sector. A significant conclusion being: even though social and technological innovation sometimes develop more quickly than our human adaptability, every entrepreneur should learn to look ahead and to draw inspiration from developments outside their own sector. Only then will you be able to respond quickly. And respond you must, because consumers switch quickly too. While the broad concept of ‘sustainability’ has become a little worn, ‘nature’ will play an important role. In many fields, big data analysis tools will render specialised knowledge largely superfluous, and new interpretations of the concept ‘gender’ will lead to office design becoming more feminine. Flexible working relationships and cutbacks have also led to a significant reduction in the number of physical offices and consequently to far fewer related projects for interior landscapers. Nijman observes that wherever you look, plants are ‘hotter than ever’; numerous restaurants and shops are ‘going green’, visit the Woonbeurs home interior show and you have to wade your way through plants and at the design fair in Milan the jungle of plants practically concealed the furniture on display. They were even filming nature commercials there. Experience is gaining in significance. Marketing the experiential value of plants, to the extent that plants become a natural element of interior design, is therefore key. In this rapidly changing world, people seek stability and seem to find that mostly in nature and in themselves. Our own inner compass and senses are increasingly key to us finding our way through the complex reality. Nature is practically placed on a pedestal, also as a refuge or retreat, a place of healing. In interior design, this is reflected in green areas you can crawl into, curl up and calm down. Let nature tell its own story. The human dimension is again key; a smaller scale to help us grasp complex things happening on a larger scale. Design and furnishing change accordingly. Small plants are gaining in popularity, sometimes even replacing other products, e.g. using plants to create a curtain at the window. The economy is recovering and the energy is practically tangible. New business models and products are being developed. Green products are associated with energy and strength. Plants as suppliers of oxygen. People don’t necessarily have to own the plants themselves. Lease and loan constructions are quite feasible, for instance. Technology is evolving rapidly. Devices are becoming increasingly ‘human’. The boundaries between people and plants will eventually fade. 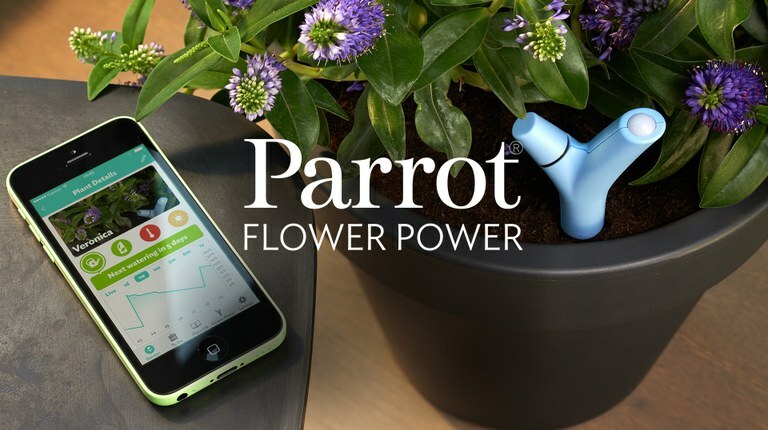 Apps enable us to communicate with plants: smart gadgets tell us when they need feeding or watering, or whether our indoor environment is an ideal temperature or humidity. With the aid of technology plants can become energy suppliers, or provide light. 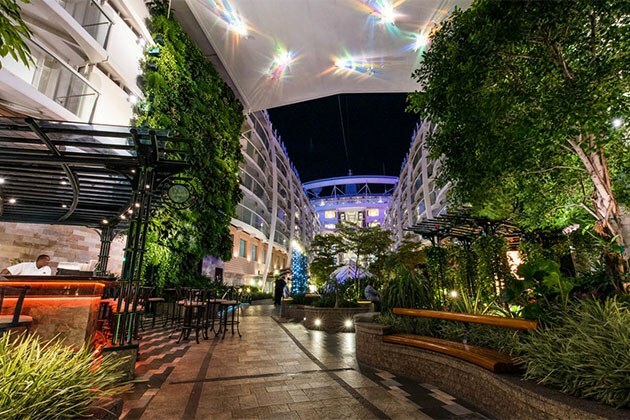 Plants will play an increasingly important part in such new dimensions as sustainability, in building construction and the development of ecosystems. René Wentink of Facility Management Nederland explored the trends in the facility sector that are relevant for interior landscapers. For any organisation it is essential that housing, service and resources contribute to the objectives of the organisation as a whole. These objectives are continuously reviewed against changes in society and among customers. One important trend is ‘Lean Management’: doing more with less. Saving costs and reducing the number of square metres are fundamental. There is also an increasing drive towards Social Enterprise. Businesses and organisations seek to create value. The role of technology and data analyses will become more and more important. Comprehensive contracts will become more commonplace, effected with consortia who handle practically the entire process themselves i.e. also supplying all the staff throughout. So someone could well be working at reception in the morning and caring for all the plants in the building in the afternoon. We see a decline in external hiring of specialised knowledge. Interior landscapers should consequently ensure they are involved in the process from a very early stage. They can no longer afford to wait until the new building has been completed to get involved. Involved not just as plant supplier but as a partner, an experience creator. They should become an additional link in the chain. This could be by providing test arrangements in buildings, for example, offering special deals for staff, creating a seamless inside-outside transition, and supplying new products that help generate the image a company wants to project. Identify and act on trends, such as ‘edible’, for example. Why not create a green wall using herbs and vegetables, which could then be used in the staff restaurant thus avoiding transport costs. That would contribute to the company’s sustainable image as well as its story. More than the actual plants, let that be your unique selling point. Experience is becoming a priority. Yet, all too often in the business world the health effects of plants are still overlooked. A company’s HR manager is actually more important than its facility management department, in that respect. So focus on them. Wentink can be inspired by entrepreneurs who build a clear and recognisable profile for themselves by only working with second-hand plants, for example, or by an area such as the Zuidas business district, which is rapidly developing into a sustainable prime location. Networking is becoming increasingly important, so make sure to always present yourself and your business at events in such locations, e.g. events held by “Hello Zuidas” the organization dedicated to managing the Zuidas area. For large projects, particularly focus on the architect as he/she will be involved in the earliest stages of the process. Embrace new markets; look at the enormous Harmony of the Seas cruise ship, which recently attracted much public interest in Rotterdam. It has some 10,000 plants and 50 trees on it. Sailing promotion for the Dutch green industry.